Nothing rings more true with these words than navigating a career in government. Whether it’s a new administration, shifting budget priorities or even a shutdown, the only constant in being a public servant is change. Although we don’t like to admit it, change in our work settings can have a deep impact on us — both negatively and positively, professionally and personally. Change, whether good or bad, can often be disruptive and affect the nature of our work, our identity, our sense of belonging and our professional relationships. I recently encountered some changes and work – people leaving, organizational shifts and changes in leadership – and while my experiences have scaled primarily on the positive side of the spectrum, I still felt a range of emotions in reaction to the disruption of my previous reality. Some of these included excitement, a sense of loss and sadness for what was and even anxiety at times. The majority of literature I read on handling changes at work seemed to stress getting over it – ­ it’s part of work-life. And while that holds true, I feel there’s much more that comes with dealing with change in work. Focus on values instead of fears. Reminding yourself of what’s important in the grand scheme of things – family, friends, religion, etc. They can be important to fall back on no matter what’s troubling you at work. Thinking about the broader picture and how this change is personally challenging you and helping you develop into a stronger professional is a healthier way to look at it. You don’t want to stay stuck too long questioning why this is happening to you. Envision the future. You might feel negative about this change now, but how much will it impact you one year from now? Or 10 years? Decide if it’s worth it to harbor resentment about the change. Because the most important thing you can do is show your team that even though you may feel disoriented from the change, you’re still on board and ready to contribute to the mission. 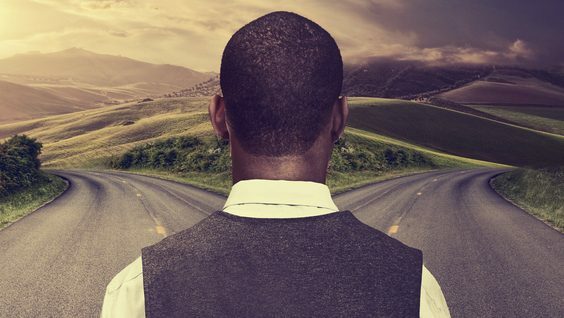 Most likely, months or years from now, you’ll look back at this change as a great learning experience and maybe advantageous for your career after all, no matter how difficult it seemed at first. Start a book club. Chances are, if your organization recently underwent some major changes, you aren’t the only one feeling impacted. Others most likely share similar feelings. Reading a book with a close group of coworkers can help prompt discussion about the changes. Discussing the book and how it relates to your experiences can be a great way to foster a new sense of teamwork and empathy with one another. Our team recently read a bestseller, “Who Moved My Cheese?” The book is a simple parable that reveals profound truths about how people deal with change. In identifying with the characters and lessons of the book, many of us found the changes to be much easier to deal with. Be good to yourself. No matter how high up the professional ladder you go, no one expects you to be a robot. In times of stress, find healthy ways to release. Focus on exercise and nutrition or take some time to meditate. Go for a walk or clear your head. But be patient with yourself if you’re still struggling with negative feelings. While it’s not good to dwell on them too long, being honest and understanding why they’re there is more productive than trying to suppress them. For more resources on change management, check out these resources. Have you been dealing with a lot of changes at work lately? How has it affected you? How are you learning to cope? Share your thoughts and experiences in the comments below! 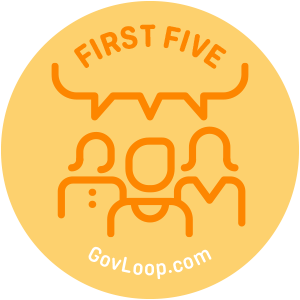 For more reading about millennials in public service, check out this weekly GovLoop series, First 5: Advice from millennial to millennial. 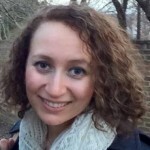 Thank you for the great tips and transparency, Fran! Change isn’t easy, but these tips will definitely help.